That you think it should never have happened and feel great anger/disgust/disappointment (you pick the word) that it did. Add a brief sentence or two if you wish about why it shouldn't have happened: encourages terrorism, shows Israeli weakness, subverts justice, wounds bereaved families, etc. etc. That you will not be quiet about this. 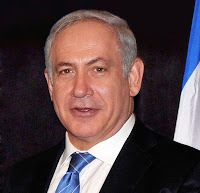 The nation of Israel requires more courageous or wiser leadership than what they have provided. That you will watch the positions they take in the future, and if you are Israeli, let them know that this will affect how you vote. Shai Piron almost voted against and you might note this and encourage him to be courageous next time. Yisrael Katz and Gilad Erdan -- both of Likud. Katz in particular is tough. Naftali Bennett, Uri Ariel and Uri Orbach -- all of Habayit Hayehudi. Much rests with Bennett and how he leads his party; he needs to understand that there are people looking to him for leadership. Uri Ariel is also tough. Uzi Landau and Yair Shamir -- both of Yisrael Beitenu. Landau has a history of standing for what he believes is right. Shamir is the son of former premiere Yitzhak Shamir z"l, who knew how to say "no." Those deputy ministers who are not in the Cabinet but fighting hard to protect Israeli rights. They need to know that they are appreciated and be encouraged to keep fighting. They represent Israel's future leadership. Danny Danon, Deputy Minister of Defense (Likud), Ze'ev Elkin, Deputy Minister of Foreign Affairs (Likud), Tzipi Hotoveley, Deputy Minister of transportation (Likud), and Avi Worzman, Deputy Minister of Education (Habayit Hayehudi). When you have a choice of fax or e-mail, fax is better. E-mail is better than trying to reach an aide on the phone. HOWEVER YOU DO THIS, PLEASE DO IT IMMEDIATELY. The Knesset is about to recess for the summer. As always, please share as broadly as possible -- especially with Israeli citizens. Accept my gratitude for your efforts and cooperation. Invitations have been extended by Kerry to Netanyahu and Abbas by phone. I have this on exceedingly solid information (from an Arabic speaking Israeli Jew with PA contacts). There are news reports that the written invitations included reference to "the '67 lines." But there were no written invitations. However, there was something else, called a "draft," that reportedly was sent to the PA. And this apparently made reference to the '67 lines. This is not something that Netanyahu has seen, I am told. A "draft" of what? It would seem a proposed outline for the talks, and it would seem that Kerry is playing to the PA here. My source says that Kerry refused to put anything in writing to the PA promising that talks would proceed on the basis of the '67 lines, but that he verbally promised to push this position at the table. Remember that Indyk is going to be at the table as a US "mediator" and this is an exceedingly dangerous business. Everyone is gathering in Washington tonight: Tzipi Livni and Yitzhak Molcho for Israel, Saeb Erekat for the PA. The news is saying talks have begun, but this is not quite so. These are the talks about the talks: Venue, schedule for meeting and other procedural matters must be put in place, as well as, most importantly, the issues to be addressed first. These discussions will end by Wednesday. Already I am reading about disagreements regarding what needs to be discussed first, and expectations for the substantive talks to proceed meaningfully are quite low. Keep in mind, however, that Netanyahu said the prisoners will be released in stages as talks progress, so we might expect Abbas to drag things out until they are all released. Yoram Cohen, head of the Shin Bet, delivered a warning to the Cabinet about the dangers of releasing prisoners. Israeli security will be diminished, "both in the immediate threat to the public, and because of the erosion in deterrence. The chance that the prisoners will go back to terrorism is relatively large." Five years ago, when Netanyahu was in the opposition, he said that releasing prisoners "reflects weakness and a loss of direction... The Likud government will replace Kadima's weakness with an aggressive and uncompromising policy toward terror." Palestinian terrorists with blood on their hands. Run that by us again? "I want to apologize to the bereaved families who understood from my answer to a parliamentary query three months ago that there was no such intention [to release prisoners] I am sorry from the bottom of my heart that professional bodies who were involved in the negotiations misled me." Read: Struk: Why Did the Government Lie About Releasing Terrorists? It's savta time again -- four young grandchildren are due tomorrow morning. I will likely not post again for a couple of days. And please understand that I cannot respond to all of your many e-mails. Technorati Tag: Israel and Netanyahu and John Kerry and Abbas.